Albuquerque, NM. 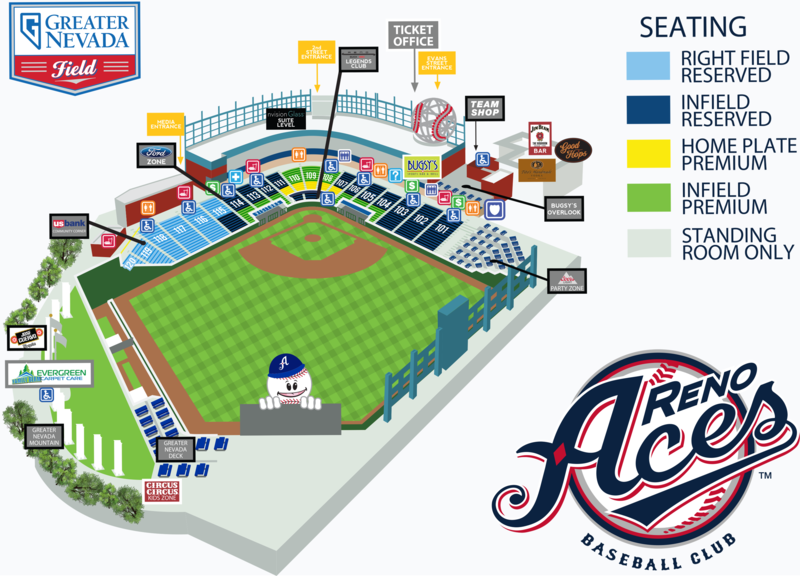 - The Reno Aces defeated the Albuquerque Isotopes in game three of the four-game series by a score of 7 to 6. Ildemaro Vargas and Christian Walker set the tone offensively. Walker drove in two runs and Ildemaro Vargas finished 3-for-5 with two runs scored and one RBI. Starter Jake Buchanan earned his 11th victory of the season, going six innings while allowing five earned runs. The victory moves the Aces to a record of 68-64 on the season with eight games remaining on the 2018 schedule. A wild first inning gave Albuquerque an early 3-1 advantage. Walker put the visiting team into the scoring column first with an RBI double to left field scoring a speedy Ildemaro Vargas. The Isotopes responded with three of their own in the bottom half. With two runners on base, Josh Fuentes hit his 13th home run of the season. Reno added another run in the top of the second inning and two in the top of the fourth to take a 4-3 lead. A Jordan Patterson long ball (24) tied things up for Albuquerque in the bottom of the fourth. Ildemaro Vargas and Chris Owings gave the Aces another lead in the top of the sixth. Vargas singled in Rey Fuentes and Owings drove in Anthony Recker with an infield single. The Aces took a 7-5 advantage entering the bottom of the 9th inning and sent reliever Silvino Bracho to the mound. Bracho allowed a solo home run to Pat Valaika, but escaped with his 8th save of the season. The two squads will play their final game of the series tomorrow at 5:35 p.m. from Isotopes Park. What's on Deck: 2019 season tickets are NOW ON SALE beginning at just $96! Don't wait to reserve your seats for the Biggest Little Show on Grass. Visit the Ticket Sales Kiosk behind section 105 for more information. August 31st will kick off Fan Appreciation Weekend at Greater Nevada Field. Friday will have post-game Saint Mary's Fireworks presented by KRNV News 4. Saturday's contest will feature a Didi Gregorius Bobblehead Giveaway and celebrate the Sandlot's 25th Anniversary. Whelp: For the second time in four seasons as a Houston Astros affiliate and the third instance as a franchise, the Fresno Grizzlies (76-55) are headed back to the postseason. A walk-off victory last night by the Grizzlies mathematically eliminated the Aces from winning the Pacific Northern Division. After Reno defeated Albuquerque, the only way for the Pacific Northern Division to be clinched was for Fresno to win their way in. A five-run ninth inning comeback sealed the deal as the Grizzlies will roar back to the playoffs where they will face the El Paso Chihuahuas.